Justice Ruth Bader Ginsburg was admitted to the GW Hospital with three broken ribs Thursday morning. 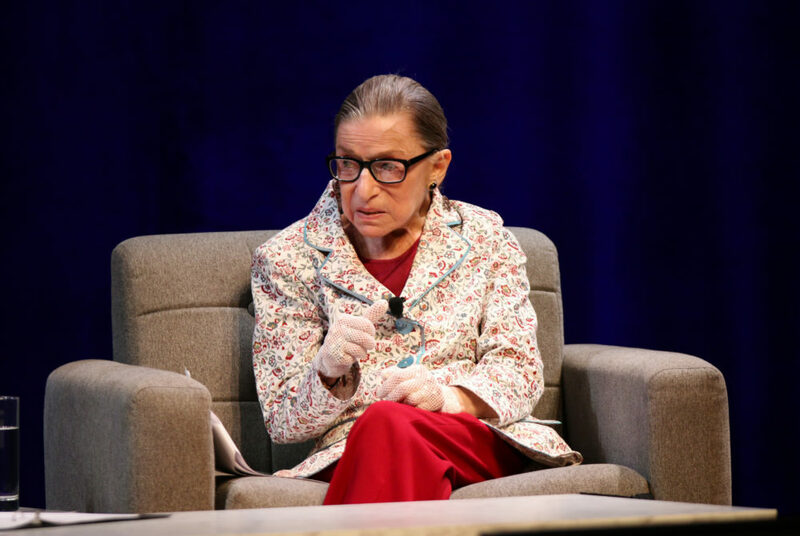 Supreme Court Justice Ruth Bader Ginsburg, at a law school event Wednesday evening, discussed her experiences with gender discrimination and the need for diversity in law. The event, titled “Diversity in the Legal Profession,” was co-hosted by the National Asian Pacific American Bar Association and the law school and moderated by one of Ginsburg’s former clerks, California Supreme Court Justice Goodwin Liu. After brief remarks from Law School Dean Blake Morant and NAPABA President Pankit Doshi, Ginsburg shared anecdotes with a packed Lisner Auditorium about her struggles as she worked her way up to be the second of four female Supreme Court justices. Ginsburg said that right after she graduated from law school, the toughest part of her career was getting a first job – since firms could openly discriminate against and refuse to hire women. She said there were three strikes against her – she was Jewish, a woman and a mother. Ginsburg credited former President Jimmy Carter with initiating the modern push to diversify the federal judiciary after he appointed 11 women to federal courts of appeals. Ginsburg said the addition of Justices Sonia Sotomayor and Elena Kagan to the Supreme Court over the past decade solidified the notion that women belong on the bench. She joked that when she was alone on the Court after Justice Sandra Day O’Connor’s retirement, she stood out. Ginsburg said the two biggest barriers to equality in the legal profession today are a poor work-life balance, which makes it hard for mothers and fathers to serve as lawyers, and unconscious bias against women and minorities during the hiring process. “I wish I could wave a magic wand and have it go back to the way it was,” she said. Ginsburg also defended the Court from accusations that it acted as an activist during its 2015 Obergefell v. Hodges ruling, which legalized gay marriage across the nation. She said the Court followed a shift in public consensus that occurred when masses of LGBTQ people started advocating for their rights.